Over the past 4 months, Perrin and I have been building the site aPennyShaved.com for Niche Site Project 2. More accurately, Perrin has been doing the work in building the site, and I have simply been coaching him through the process. Today, I am very excited to share a full income report for the month of December. And its a FANTASTIC income report! Both Perrin and I are blown away with the spike in earnings for the month, which is shared below. And as a reminder, Perrin has never earned more than a couple of dollars in any online venture he's pursued previously. At first I thought perhaps it was just a spike due to Christmas buying. However, as I look at the stats, its clear that much of the growth can also be attributed to increased rankings and traffic of the site itself. In addition, the traffic and earnings continue to grow through the first 6 days of January. The site is on pace to have a better month in January than it did in December. Way to go Perrin! If you are hoping to replicate what Perrin has done with aPennyShaved.com, I've done my best to document every single step of the process on the Niche Site Project 2 page here. Perrin and I continue communicate by email and chat, where I provide minor consulting along the way. However, we have not done anything differently than what has already been covered in all these posts. With that, I'm happy to turn the rest of this post over to Perrin to report on the month in his own words. Welp… aside from August 1984 (when I was born), December may have been the awesomest month of my life. A bunch of exciting stuff happened, and a lot of it had to do with my site. I’m too pumped to bore you with an introduction, so I’ll just jump right into it. Warning: this post is a monster! First things first: I met my goal! When we started this project, our goal was to create a website that made at least $500 per month. I’m happy to report that I met (and exceeded) that goal! More on this below. Even cooler, we met this goal two months before the timeframe we’d set for ourselves. We wanted to create a profitable site that was pulling in about $500/mo within six months. We started at the beginning of September, and the site had its first $500+ month in December. That means that instead of the six months we’d allotted, we did it in four. Pretty cool, right?! So, I met my goal, and based on how the site’s been performing this week, I looks like I’ll meet or exceed that same amount in January, too! That’s a pretty solid jump. Based on GWT, in the last 30 days (which includes a few days in January), I got 8,000 clicks from around 90,000 impressions. However, in my view, the most encouraging metric by far is the number of inquiries I’m showing up for. 448 to 1,443 is a huge jump. I’m showing up for almost exactly 1,000 more keywords than last month. That’s awesome! Reinvigorate shows me getting 500-700 visitors per day (I’m writing this on January 5, so that day isn’t complete yet). Now that is a massive jump from last month. I’m extremely excited about this number, and, while I didn’t have a specific traffic goal, I feel like this is really solid. The site still only has 23 articles on it, and I’m adding more at a pretty good clip. So, I think the traffic KPI I’m going to set for myself is going to be 1,000 visitors per day. I still feel like this is pretty lofty, but each new article seems to add about 100 inquiries, and whichever keywords I target ranks on page 2 or above within a few days. Obviously, most of the traffic is for January because that’s when I got it working. You can see the major flat line in December when I was trying to figure it out – ha. Anyway, at around 750 visitors/day, it looks like GA is actually seeing slightly more traffic than Reinvigorate. There’s always going to be some discrepancy between analytics platforms, but this is one is fairly minor. So that’s the big news for the traffic! Over all, I’m obviously very happy with the traffic. In fact, it’s almost surreal to know that many people are actually reading the stuff I’ve written. I mean, I have a degree in poetry, remember? I’m used to nobody reading my stuff! Ha. Last time we chatted, I was ranking on page 1 for seven of my first 15 keywords. Several others were on page 2, and a few more were on page 3 or lower. Today, however, I’m ranking on the first page for ten of my first 15 keywords. Four of my keywords are in the top five and one of them is in the #1 spot (the same one from last time). My primary keyword, “Best safety razor, is still at #2, which is totally cool for the time being; I’m starting to bring in a lot more long-tail traffic, anyway. I’ve also made some good progress with my front-page keyword, “Best electric shaver,” which is now sitting at #12, although I’m really fighting for each spot for that keyword. I’d be happy just to get it on the first page, really. At this point, rankings are fun, but aside from my two primary keywords, I’m not too worried about them. Usually, most new keywords I target (with new articles) rank somewhere on the second page in a couple of days and result in 100~ more inquiries on GWT, which means I’ve got plenty of SEO juice flowing through my site, and that’s really all that matters on the rankings front. Now for the fun part! Remember November? In November, I made about $39. During the first couple weeks of December, I had a feeling I was going to have a pretty solid month, since the site was finally starting to bring in a steady daily income. Plus, I knew December is always a heavy retail month, which is great for sites like yours and mine. I made $659.41! I know I say something like this every time I talk to you guys now, but… that’s crazy! It’s just way beyond what I thought I was capable of. And let me tell you something, it’s just amazingly fun to wake up each morning, check your Amazon Associates account, and see money coming through the door all on its own. There’s nothing like it, really. It’s almost like a runner’s high – this weird mix of euphoria and remembering all the hard work you put in. I highly recommend it! As I’m adding more content to my site, I’m starting to realize it’s just not feasible to do tables for every post. It takes way too much time. However, you absolutely should do them for your primary posts (or at least your top several posts). Ok, I know this bad boy is getting long, but I also wanted to tell you my new strategy for outsourcing content, since I tried several services out there and have largely been unimpressed (with the exception of TextBroker, which I actually kind of like). Anyway, here’s the main strategy: Use my social networks to hire people I already know. If you live in an English-speaking country, and you’re on Facebook, you almost certainly know a dozen writers who are willing to write content for next to nothing. In fact, many of the writers I’ve hired this month have been writing stuff for free just to build a portfolio. Of course, I’m a writer, and I believe in paying people for their work, so I pay them what I think is fair (which is what I would have done an article for when I was freelancing): $20 per 1,000-word article. Most writers will jump at those kind of prices, especially since there is no middle man, which means they’ll make more than they would through an agency. So, really… all types of people. All four of them have written articles for me at this point, and all four have been great. If you’d like to see a sample of the quality, check out the article titled “Best straight razors” on A Penny Shaved. I recommend given each person you plan to hire a test article. You can see how they write, and they’ll be able to ask you any questions. Then, if you’re both happy (even if there are some kinks to work out), you can slowly build up your work flow and refine your process until you can just send them keywords and get back finished articles, which is the ideal way to work. The quality will probably be extremely high. Writers you get this way will probably be English-speaking college graduates. You’ll know them and can contact them. Hiring writers who can contact me (and vice versa) via Facebook or gChat to ask questions has been invaluable. You can work with them along the way instead of just submitting your keywords to a big agency and hoping for the best. It’s much more reliable and easier to give criticism. They’re your friends, after all, so it’s easier to gently correct them. You may be able to find a long-term writer. Having someone who knows your process can be a big step forward in your business. Most writers won’t be able to handle large batches. It’s probably a side-gig for them, so the sweet spot I’ve found is 3-5 articles per week. Not a lot, but plenty if you’ve already got an established site. So, if you’ve got several sites, you’ll need several writers. Not a good method if you have unreliable friends. But you can avoid this by hiring people you trust and you know work hard. For now, I’ll be using a combination of this method and TextBroker (for large batches). If you do decide to use this method, spend some time writing up a good process document and provide plenty of examples for your writers to use as templates. My December was nuts. My January should be just as good (crossing my fingers). But one thing is for certain: I’m having the time of my life. This stuff is fun! Most importantly, though, I couldn’t end this report without saying thank you! You guys have been so encouraging to me, and I’ve made a handful of great new personal friends/colleagues through this Niche Site Project 2 (looking at you, Doug, Jason, Curt, Daniel and Jon!). So thanks again, everyone, and keep up the good work! Thats fantastic Perrin, hopefully January blasts through your Dec total as well! Really enjoyed reading these blog posts, and have been paying close attention to what you are doing that has been working – so thank-you (both you and Spencer) very much. What’s the plans with the site now, keep adding articles and ranking for more and more long tail keywords? The plans are simply to continue adding great content and targeting additional long tail keywords. That’s the primary focus right now. so it does take about 4 months of hard work .. but its worth the time and effort .. Indeed. Perhaps the most important SEO factor after creating good content is good keyword research. Coming up with content ideas is a whole post in itself, but what’s important is having a system. Congrats and you deserve every bit of it!!! Thanks man 🙂 Appreciate you following along. Just goes to show that all these people saying affiliate niche sites are dead, Amazon is a waste of time..are wrong! Man! That’s got to feel GOOD! On my main site, it climbed up close to 1,000 hits a day, and then wandered down to around 300. It’s seasonal, so I didn’t worry about it. After Christmas, however, traffic actually increased. We’re now seeing 1,200+ days consistently. I don’t know if there was an algo update, or if the site finally aged enough. So, congrats on the traffic spike. I’m with you. I’d be especially proud of drawing in traffic for over 1400 terms!! Hey Quinton – Awesome numbers for visitors. That’s really interesting about the traffic increase. What happened with the rankings during that period of 1000 -> 300 -> 1200 visitors per day? Since I wrote that, the site’s been steadily climbing (I’m also adding lots of content, though). Now getting about 1,000/day and climbing. We’ll see if it peters off soon. Congrats Perrin (and Spencer of course), I wish your 2014 resumes in the same way as the last month of 2013, or even better! Hi guys, awesome case study and good job for the great results! Would you be able to give us a rough estimate of your hours spent on this project so far? That’d be really cool! I’ll leave this to Perrin to answer…as he would have a better estimate. I spent more time on this than I’ll spend on my next one. First, it was a public project, so in addition to the actual work, I’ve also spent lots of time documenting the process. Second, when I started this project I had a lot to learn, so I was also spending lots of time asking questions and experimenting. Third, I wrote a lot of the content myself. Well… that actually might be a bit low. I’d say 60 may be more realistic (better to be conservative when you’re planning anyway, eh?). That’s actually pretty good. So say you invest 80hres over a year, and say you’re making 500$/mo, so 6k /year. You’re making 75$/hour working for yourself, and that doesn’t account for subsequent years… Good biz model! Yep, and the subsequent years are pretty hands free for sure. Great to see this income report in a short span of time and my kudos to Perrin! Sounds great…I’ll be glad to post your success story when it happens…Good luck! Congrats Perrin, that’s a great achievement and gives you great ammo to expand the site. Can I ask you whether you went for more Rank Hero submissions or just focused on the link baiting in December? No additional Rank Hero posts at this point. Just the link baiting…and likely several natural links as well (we may have to check on that). I didn’t do any linkbuilding at all in December. My homepage now as a PA of about 39, so there’s more than enough authority to rank my secondary keywords now. Congrats on a fantastic month! $600+ dollars is impressive, though I’m almost more impressed with the $9k in sales you were able to generate – imagine is amazon did better than a easily %6. Oh well, can’t complain. Excited to see how January levels off for you. Very nice! Over $600/month within four months. Very inspiring stuff! I’m excited to start a couple new Amazon Affiliates site for a new case study. Your updates will be a great guide to refer back to each week. It’s also extremely impressive to see 750 daily visits with just 23 articles. Clearly, you’ve picked some really good keywords. Its all about the keywords…has to start there. Everything else, quality content, link building, etc…Perrin has executed very well. Plus I think once you manage to rank well for your primary keyword, the subsequent articles targeting secondary keywords become more easy to rank for and bring in additional long tail. But, as Spencer rightly points out, the key is not good but AWESOME keyword research! That’s really awesome … Congrats Perrin ! I have been waiting for an update from the past two weeks and here it is ! @Spencer: Do you recommend to set the geo location in GWT to the United States? What are the pros/cons of setting it? Yes, I set it to US. This may depend on where your traffic is coming from. If the search volume is US based, set it to US…if not, set it to country with most traffic. Perrin man, haven’t said hi yet but love the work you guys have done. It’s been a pleasure to follow along, and well done Spencer for educating in such clear & concise ways. 1. I KNOW pretty much that I’m only a month or two behind you! Greatly encouraging to see an ‘amateur’ having great success. 2. Massive solidification of the knowledge & process required to build a successful NicheSite. It’s really cool to see the work pay off when the site kind of works out a pace for itself. Keep us in the loop! Congratulations Perrin – awesome progress. 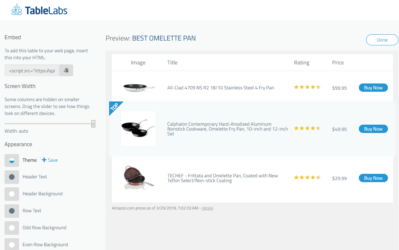 Your table click-analysis is really helpful for me as I am getting ready to create my first table for my Amazon site that I’m working on. I recall you and Spencer found some sort of work-around for you to be able to use Amazon Associates despite living in a state that doesn’t allow it. If you haven’t already, will this work-around be discussed in detail as part of this case study? I opened an account under one of my business entities base in WA state and let Perrin use that account. So, anyone could form a business entity in a state approved by Amazon. However, Illinois just got reapproved by Amazon (Perrin’s state) so he has an account on his own now! Great! Congrats perrin on your success. Wow, this is awesome guys! Congrats! I can feel your excitement, Perrin, lol. That built-in heat map tool is awesome! I never thought to try that. Keep up the good work! That’s awesome Perrin! Keep it up and you’ll be working for yourself in no time! Thanks for the heads up, just fixed the link. Way to go, Perrin. Awesome to see this site having some real success! You’re definitely going about this the right way and building a solid, well rounded property. Looking forward to seeing how you progress with this and future projects. Perrin – Awesome month! I can’t wait till you start ranking for electric shaver – it will get really interesting after that! I hit 2000 visitors a day yesterday… 🙂 So my site is getting pretty big as well… I am confident that I can double this traffic! My site earned me around 300$ in September, not much, but I am sure that I could double my earnings with improving the comversions. But I am focussing on traffic at the moment, this is my chance to create a huge authority site. That traffic is nothing to sneeze at! Awesome results Perrin and Spencer, in a span of 4 months hard work has been paid off! Thanks for the income report, we’ll revisit the case study to learn more. We’e covered the link building process extensively in past posts. To save you some time, it was basically Rank Hero + link bait. Now that I’ve bought some content, my total investment is around $300. It’ll be around $500 by the time I’m done. Its is really great study. I would like to know more about off page optimization stuff of this case study and what was the back-linking strategy of this project. Off page optimization is the most difficult thing for me. Awesome job Perrin! Are you finding that now you have built up quite a bit of steam and momentum that you are doing less work with back linking? Or do you chalk it up to fantastic keyword research? No backlinking at all anymore. The site now has enough authority to rank on pages 1-3 for the long-tail keywords I’m going for without doing anything besides posting the article. awesomeness, great profits. great dedication. I really think $1k is doable for Jan! Wow that’s fantastic Perrin. $39 to $659 in one month is crazy! I finally embarked on my own niche site based on this project. I’m finding it hard to build links, but I know I’ll figure it out. Thanks for doing this, Spencer & Perrin! Hey can I ask which plugin you are using for the “recent reviews” section on penny shaved and on nichepursuts? Now that is what I call about ending the year with a bang! Fantastic outcome of the fantastic work. I bet waiting for this day was worth it. Congratulations to both again, Spencer and Perrin! Thanks Pratik…I am extremely happy with the way this nsp is going! Congrats Perrin…what awesome success so fast. $500/month so quickly… Well done! which email id do you use while doing outreach for guestposting or ego bait or any other.. I have contacted many people with my domains email address any none of them responded but when I contacted with Gmail address many responded, this is happening because when I email some unknown person with my domains email address it directly goes in to the spam ? So do you have any tips regarding this and Spencer can you write a detail article about outreach ? I just used my regular email. Not sure if it made a big difference or anything; I just wanted to make it easier for myself to consolidate everything. Congrats on your success, Perrin. In my area, Google is showing your site at #1 position. Are you getting many click to Amazon? great results and well deserved! Not sure if you mentioned this in a previous post, but what are you parameters for targeting long tail keywords? Is there a minimum and maximum monthly search volume and KC? Do you check the top ten competition to see if they are predominantly e-commerce? congrats to you too. NSP2 promised a lot, but you have really over-delivered on this. Most my secondary keywords are between KC 15-25, but I’ll go for anything under 30. I don’t do very much in-depth research with them, though, so I typically don’t even look at the top 10. If they’re under 30, I’ll go for it, and I just prioritize the lowest-KC words first. Very impressive numbers and really motivational! 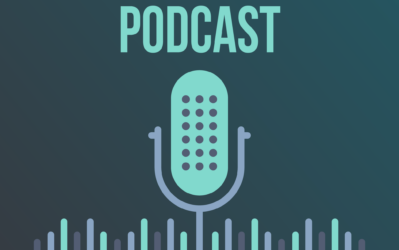 I’m going to reach out to you Perrin about an interview opportunity for my Podcast. Wow, very inspiring. Congrats. I also had issues finding writers, I tried many places just like text broker but still I am unable to find any real good ones. Have you made any profits yet, after paying writers and other things to get the site up and running? Thanks Guys!! Keep up the Good work. Happy new year Spencer Haws! Wish success. You’ve been reading and commenting since the beginning, and I really appreciate that! What’s your Amazon conversation rate if I can ask? Sure! I should have put that in. Awesome news Perrin. I’m curious about Reinvigorate. Why not just use GA or even another free tool like Piwik? Are you basically paying for the heatmap? I couldn’t get GA to work for a long time, so I went with an alternative. One of the main reasons I went with Reinvigorate was that it was so easy to install (simple WP plugin). I’m no coder, so even though complicated installs might help me build my skills a bit, I put a lot of value on my time, which means I typically take the path of least resistance. However, I got GA working (screenshots in the post), so now I’m using both. hey perrin, great stuff man! Glad you reach your goal and are loving it? how many hours would you say you put in to reach this goal? Probably 100-120 hours, but that’s more than the typical time investment. I was spending a lot of time documenting the process for you guys. I was also new, so much of my time was spent learning. Yes. However, I do think you should put in the effort to write great content yourself for at least your primary article and a few secondaries. That’s amazing Perrin. You have come a long way and now seeing success way beyond what you expected. Now I realize the hard word it takes too see success. Thank you for the motivation. wow wow Perrin. I have been waiting to see the next post on your income report. This is awesome man. Hopefully your success continues to rise. Definitely pumped about niche sites now. I have a question? Are you still adding content in RankHero? So, in total, I only added 5 RH articles. I’ve said it before, and I’ll say it again. Spencer, you could not have picked a better student in Perrin. You guys are awesome! Just wondering, what SEO has been done for the site other than the blog commenting and guest post? The linkbuilding almost all comes from Rank Hero + link bait. This is my first visit and I’ve noticed you have shared great information on your blog. Keep up the great work. Nice job, man! Love the strategy of hiring writers within your own social network…brilliant. Great work Perrin. It’s encouraging to see how far you’ve come along in the last couple of months! Spencer, great job teaching as usual. It was great to meet you in person over the weekend. Great run for 2013 and looking forward for more tips and updates for this year. This open project is the most inspiring to follow than reading/going through some of the ebooks or boring video courses! Quick question on Backlinking… could you please update us on the state of backlinking campaign so far and plan for next few months to hold/improve you rankings? Looks like rank hero was a great investment. Would you build site number 2 with the same base of lie level links and site outreach? Yep. For my next one, I might only do one round of link bait and add a few more Rank Hero articles (so 10 RH articles instead of 5 probably). It’s just slightly faster with slightly more control without giving up some of t he great natural links you get from link baiting. Im right at the point of hiring people to write some content for a project Im working on, I got a couple of post of about 500 words written but Im not quite satisfied with them. Will definitely try this technique of yours, thanks for sharing. Awesome!!! I am glad to see that you hit a home run with this one. This is awesome news, i was starting to think the site wasn’t working out due to the “late” update, instead it’s a mean lean money machine. I really hope you hit that 1000$ mark in January as Spencer predicts…. I have a question about where the links you do have are pointing to. Are most of them pointing to your homepage and are you then using that build authority to rank your secondairy keywords/posts (including the best safety razor post) by linking out to them from your homepage? Did you build links from rankhero to your innerpages directly.? 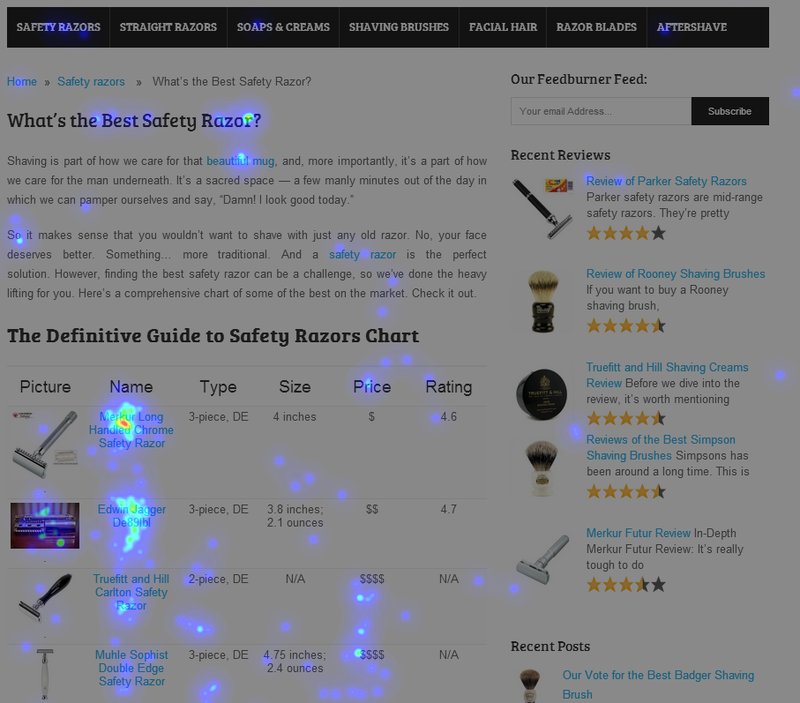 The links are point to either my home page or my primary article (“Best safety razor”). Wow this is amazing. I found this article by being subscribed to Long Tail Pro email. It’s the first email and post that really got me reading. I found out about you guys through Pat’s SPI blog and I think you may be giving his Food Trucker blog a run for its money, bit time. Possibly even catching up with his Security Guard Training HQ blog. Fantastic results Perrin and Spencer!! Oh mein~ I just love this detail report! Thanks so much for putting this up! Spencer & Perrin! Keep up the good works! Perrin! And Spencer, it was super awesome to meet you in person during the NMX the past weekend! Just pure awesomeness! Tony…it was great hanging out with you a bit at NMX as well! That’s one of the biggest jumps I’ve heard of from month 1 to month 2, way to go! I know you’ve mentioned a couple of times on the comments it’s been RankHero and link baiting. If you don’t mind can you share how many links from RankHero and how many from link baiting (and if they’re all to the homepage)? Only 5 rank hero articles. For link baiting, I think I ended up with 3 guest posts and 2 blogroll links. I noticed a pretty big jump with blogroll links. If you can score those, you can get links on every single page of very relevant sites. Only drawback is you can’t control anchor text, which could potentially hurt if you have an EMD. If I am not mistaken..I can see many forum profile links? Did you order any gigs for that or you build them manually? There aren’t too many. Those were from the really, really bad link builder I hired. I don’t think I’ll go that route again. Well done guys! Thanks for laying this all out for us, it’s very educational. I was just curious, when you start ranking for some many keywords and you have say, 20-25 articles on your site, are you building links to the inner pages? Is that how you rank for so many keywords, or are you always building links just to the actual TLD? Thanks again Perrin and Spencer, you guys are inspiring! And nope; no links to the inner pages. Just my homepage and my primary article, “Best safety razor.” About half and half to those two. Awesome stuff Perrin (and Spencer) good to see this has taken off so well. Best of luck in January. That’s awesome news Perrin, congrats! And a big thank you to both you and Spencer for inspiring me to start my own niche site. I also saw a big spike in revenue in December, and January has been even better so far. I couldn’t have done it without you guys. I’ve rarely posted, but have been following your progress from the beginning. Congratulations on your achievements and here’s hoping January’s earnings tops the $1000 mark. I’m an old fart of 62, while you’re my son’s age, Perrin, so I’ve got to thank you for showing an old dog some new tricks. I do internet marketing as a retirement hobby, and have only one modest Amazon review site up. I’m a complete sloth when compared to your hard work but have had a couple of $100 months. I’m typing this from a little coastal country town in South Australia and here you are No.1 in the SERPs for “best safety razor” and “whats the best safety razor”. Thanks also for the tip on Webtrends’ Reinvigorate. This is just amazing, Perrin! You’re getting an insane amount of traffic. Definitely a great looking site. I noticed there are many wikipedia links throughout your posts to basic shaving terminology. Most of your other external links seem positioned to provide the reader value, but I’m wondering if you used wiki links for SEO purposes to help build a good reputation with Google? If so, how is it working out? I guess the idea is to link out to “good neighborhoods” that Google trusts. The way I see it, put yourself in the shoes of the reader. If I feel there’s an external site that will provide him much better information, then I would link to it. Yes, Aman has it correct. It helps with SEO to link out to good quality resources because it helps the reader. Great stuff Perrin, hoping to follow your success. That’s a huge step forward Perrin and congrats on that achievement. What I can say is good ending. Will you continue to share what you have learn from Spencer? What is you next plan? I’ll probably do a similar — but larger — site next. I’ve already found my keywords for it! I’ll start working on that one after A Penny Shaved gets to 50 articles. First congrats man, that is such awesome news!!! Do you plan on also adding Adsense to the site or are you just going to stick with Amazon for now? Cogratulations on reaching your target, now the sky is the limit! I just wanted to point out to you that your easy Easy Azon plugin is not working in the UK, even if the products are available on Amazon UK. I think you may already know. 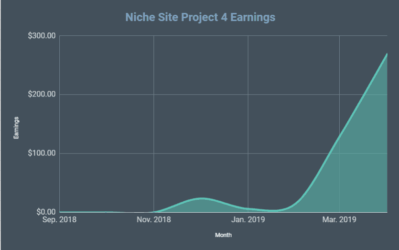 I started the niche project at the same time with you and just made 250$ last month! Just use link bait till now, maybe i need use Rank Hero or another service like that to rank higher! Hope you’ll reach $1k this month! This would be great if I didn’t live in NC where being an Amazon affiliate isn’t an option. Do you know of any workarounds for this? It’s a pain, but you can start an LLC in an Amazon-friendly state. I am thinking of starting my own niche site after your results ! A quick question on rather basic thing that is driving me mad. Wondering if it makes sense to add geo targeting in google webmaster tools for com/info/net domains? Using EasyAzon plugin gives you an opportunity to target customers worldwide, so wondering how this geo setting to “USA” affects my ranking in UK/Germany, for example. I have set up one of my “com” domains to target US and now i’m seeing 90% of keywords are ranking in Google US (167 keywords) with only 4 on Google UK. Great job Perrin! Isn’t it a great feeling to know that people actually do read your articles on those niche sites? I’ve got plans this month and am moving ahead with my own Adsense site. A lot of what you and Spencer have covered will be invaluable to the effort. Congrats with your site. The traffics stat is pretty impressive. Going by the rate, you can easily hit 5000 visits per day since you keep adding quality contents to your site. What about backlinks. Are you going to keep building backlinks and what kind of backlinks are you building? Is press release in your agenda? 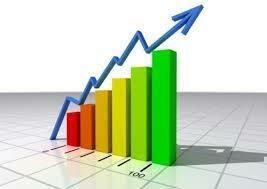 I heard press release are powerful links to get and certainly boost up your rankings in the serp. Anyway, wish you a very prosperous year ahead. I have question but it is more about RankHero. With you using it to do this live case study isn’t it making the sites vulnerable? Anyone that looks at the backlinks can probably see the sites. I took a look and I am pretty sure I spotted them. Congratulations on the good month. It will be good to see your rankings and revenue over the next few months. We are always rotating new sites in Rank Hero as more users are added. New users can’t even get access to the sites that Perrin had access to. We have completely new networks as we add more users. I am also starting a niche website, hopefully I will do as good as you are doing. Btw where do you get all those images that are on your website? are they from amazon? Congratulations!! I’ve been following you very closely since you began this Niche Site Project and I must admit it has been a thrilling ride. Learning so much along the way. I have a number of niche sites, some doing better than others, and i was able to reach 19,000 UVs a month for one of them in December, crazy stuff!! And am keen to implement many of the tips and systems used in your project for my next niche site. Just one question regarding the table on the front page, (i know Spencer has spoken about it in the past in his first project, but may have missed it), how come you have image and text links directly to amazon? I understand the logic, but doesn’t Google punish you if you have heaps of affiliate links coming from the one page? I have implemented similar tables on my sites, but each of the links send the reader to inner pages/articles where I then supply an affiliate link from there. Perrin’s site is ranked #1 in Google for his keyword, so no, Google is not punishing him for having the affiliate links. If you have TOO many, then yes, you will get penalized. My rule of thumb is 1 affiliate link per 100 words MAXIMUM. Less is better. Your strategy of linking to inner pages is just fine too. Thanks for sharing your site with us, that’s very generous, and congratulations…the site is very well done and well balanced between optimising for google and humans. Hi Perrin, your results are fantastic, you put a great amount of effort in! I have a simple question, in a post it was mentioned that you used the Thesis theme with Genesis Framework. I think that trying to learn Genesis would do my head in. Could you or Spencer suggest a similar wp theme that is simple for a newby to use? Thanks. Here are a couple of themes: http://www.nichewebsitetheme.com (what I used for NSP1) and http://mythemeshop.com/ (theme used by Perrin for NSP2). Nope. I used Splash (in the shop Spencer linked above). Fantastic results Perrin and Spencer. I’ve followed this project since day one and really glad to see your positive results. Out of interest, its always interesting to see the types of things people end up buying after heading to Amazon via your affiliate link. I see the average price of your items sold was around $25, did you have any really high priced products sold? What was your lowest priced product sold? Were the products mainly shaving related? Its interesting to me to see what percentage of the products sold aren’t even related to the niche. It means the person is really already in some buying mood :). I’m totally impressed with the progress and also the level of detail you guys are sharing here. This is awesome and I’ve learned a great deal reading your blog, Spencer. Thank you so much. I noticed a few updates back that you recommended seo-genuis.org for linkbuilding. I’d recommend Rank Hero before you go out and build a PBN of your own (or while you’re doing it). It will help you get a feel how it works with your business model. You Pumped my adrenaline even more! I started this year with very little hope but reading this (and all that I’m learning about niche sites) is such a boost! I’m starting out my own blog and I’m definitely starting my own niche site – trying to save my struggling business! Great job guys. You both are truly inspiration to all, thank you for your transparency. Is there any thought/strategy behind what products go at the top of the chart or are they random? Top picks go at the top of the chart – yes thought has gone into it. For my charts, I put highest rated items first. can you share some details about your infrastructure? Which kind of Server do you use(Just Webspace a V-Server eg.)? 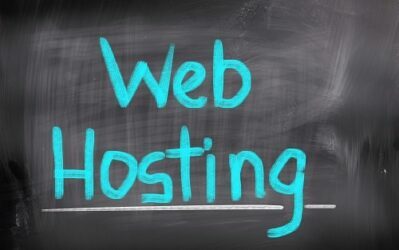 Which Webserver do you use? Congrats on achieving your target. This has been a very enlightening case study. In one of your previous updates you said you were considering doing a second round of rankhero blog posts. Any updates on that? Also, it would be great if could let us know how many rankhero blog posts you used in the first round. This would give us a good idea of what it takes in terms of ‘link building’ to achieve the kind of results that you did. Okay Spencer. 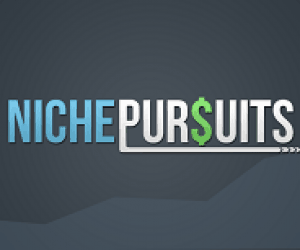 You have proved everyone that people can still make money from niche websites. This post was so inspirational that I am planning to give niche sites one more try. For my first project I chose a coffee niche but later read your article that says that if most of the first page content is from Amazon and other e-commerce websites then it’s not a good niche to target for that keyword. I am planning to start a fresh blog in 2014 and I have identified my main problem for not seeing success…it’s link building. I am kind of a little low in budget (wish I could join Rank Hero)…but I am going to go through all of your link building methods to see if that works out. And Perrin …man you are so lucky… you should thank Spencer every day for actually showing you the path to success and even guiding you through each step. I am so motivated right now. Wow Perrin – that’s an amazing achievement in 4 months. It must be so satisfying seeing a return on all the hard work you have put into the project in the last few months. This whole project has made me so keen to give it a go myself, but I am worried I’ll fail at the first hurdle with Keyword research – I just can’t seem to find one that matches all criteria and find it a bit overwhelming! Can we talk briefly about your link building strategy? It seems like there are a whole lot of spammy links to A Penny Shaved. For example, the comment by “Learn More” on this website http://www.technogym.com/blog/en/2013/01/cosa-stai-aspettando-diventa-piu-attivo/ is pretty spammy. Were these done by a VA? Is this just part of the game? Honestly curious here, new to all this. Thanks. Perrin congrats on the success! Perrin – Great site & congrats! Which plugin are you using for the ‘Recent Reviews’ on the right hand side of the home page. Good going Perrin! Can I ask what WordPress theme you used, or is it a custom theme, HTML etc.. This seems to be my biggest problem, keep up the good work, you have got to be proud! 1.) Is there a time where you start to worry about running out of articles or risk repeating what you’ve stated in other articles? If so (or not), how do you keep up the fresh content after reaching “saturation”? 2.) Additionally, do you envision needing less articles (and therefore less time) devoted to the site each month to keep the same rankings or is it basically going to be 25-30 articles (per month) for the rest of the site’s life? Basically, is there a point where you can pivot and focus on another site (or two) to expand your money sites and how do you determine this? – Did you build the website ( I know it’s theme) and content then signed up for Amazon affiliate program? – Which option did you choose as a website ” Niche Website”? I’m asking this because as far as I know Amazon check the website first before getting the approval to be their affiliate. What plugin do you use to show user rating rank with stars in your reviews? Is this the same plugin for sidebar widget showing post with this star rating? Great site, really enjoy viewing your sites and its an inspiration to all who view your site on a regular basis. Seeing the profit that can be made with hard work and a vision makes all the hours spent on projects worth it!! Thanks for posting advice about the writers you hired and how you hired them, Spencer. Were you hiring them to just write for a penny shaved or were you having them write for all of the niche sites you have going? Also, thank you for being so incredibly open about these niche sites, Spencer. It gives me, as a beginner, a proper perspective and gauge by which the measure my results. Hired for penny shaved and other projects as well. You’re welcome! Great work Perin! This is very inspiring. I’m really curious to know the click through rate you’re getting from the site to amazon? Would you be able to share that with the group? TIP for Perrin: Hey, Why don’t you sign up for the MyThemeShop affiliates program? You would’ve earned some money from me, I bought the Splash theme you used on your site but couldn’t find your affiliate link to give you credit. If you would’ve had it in your footer “Theme by MyThemeShop.” instead of the generic link I would’ve bought it from you. 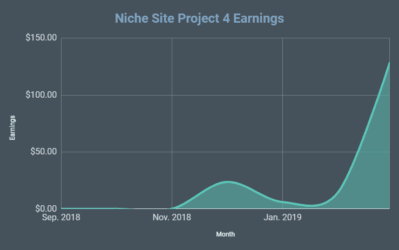 I’m on the edge of my seat for the next Niche Site Project 2 Update… I hope it’s not discontinued because you guys are making too much money from it! Whenever I feel down about building sites and feel like I can’t do it I usually come to your site and read how you’ve been doing. It’s always inspiring. My only site that’s doing good took at hit the past few months and I lost almost a 1/4 of my traffic.